Drinks, Wine, and Cocktails Brush Pack - Free Photoshop Brushes at Brusheezy! Cheers! Let's raise a glass and toast the new Drinks, Wine, and Cocktails Brush Pack! When you download this new beverages brush pack you'll be getting ten different drinks brushes, including wine bottle brushes, cocktail brushes, soda brushes, and even some grapes brushes as a little extra somethin' somethin'! Need the fully editable vector files? 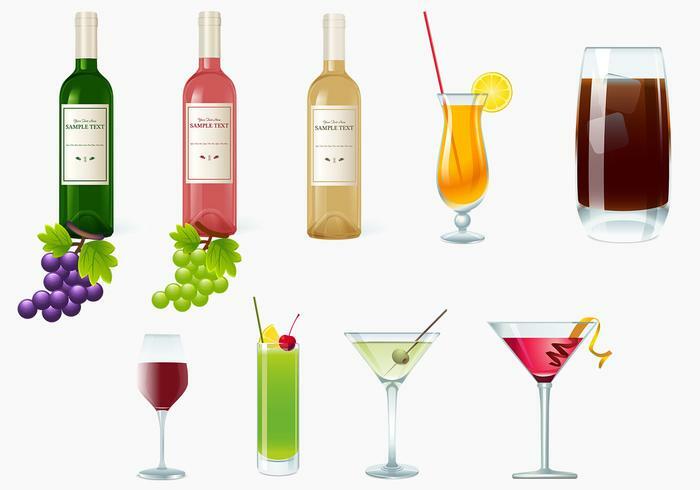 You'll find the party over on Vecteezy when you download the <a href="http://www.vecteezy.com/Food/38393-Drinks--Wine--and-Cocktails-Vector-Pack/premium">Drinks, Wine, and Cocktails Vector Pack</a>!